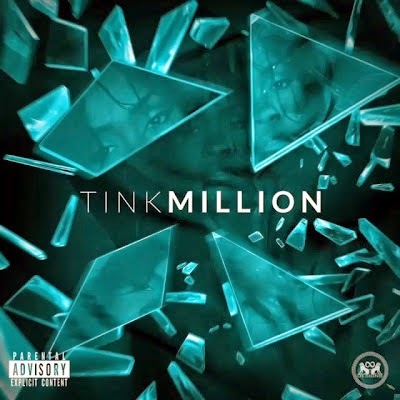 If you remember awhile ago, I mentioned a new artist by the name of Tink who Timbaland recommended to everyone via his Instagram page to check out. Well...yesterday it appears that the singer/rapper announced via Twitter of her new remix version to Aaliyah's 'One In A Million' titled Million. Now normally, I am very critical when anyone touches Babygirl's music, but the very fact that it has been produced and given the stamp of approval from Timbaland himself, I have no problem with it whatsoever since he was the one who created this original masterpiece, alongside Missy Elliott. So what better way to pay homage or do an updated remix then to have the person who originally produced it in the first place? After listening to it, I must say I am actually feeling this! Huge props to DJ Duffey who also did his thing on this! 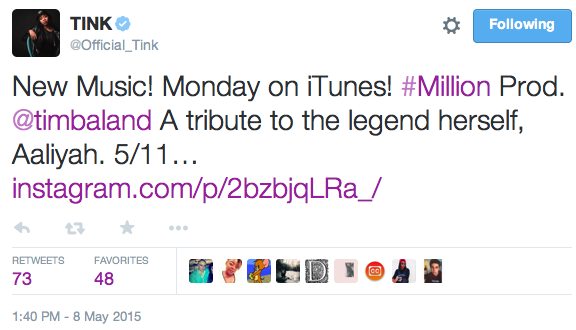 You can also read Tink's tweet below describing it as "A tribute to the legend herself"